A process of Epoxy base primer and Polyester primer proceeded the Old English White blend finishing the repair. XjRestorations Ltd completed the mechanical overhaul and corrosion repairs, handing over to us for fresh coat of glorious Bordeaux Red metallic. This well known 1955 Chevrolet race car is well known in the UK Santa Pod/Shakespeare County race scene. Imported from Oregon in early 2018, this paint has been preserved rather than restored! Patina is a trend, but this is genuine patina. 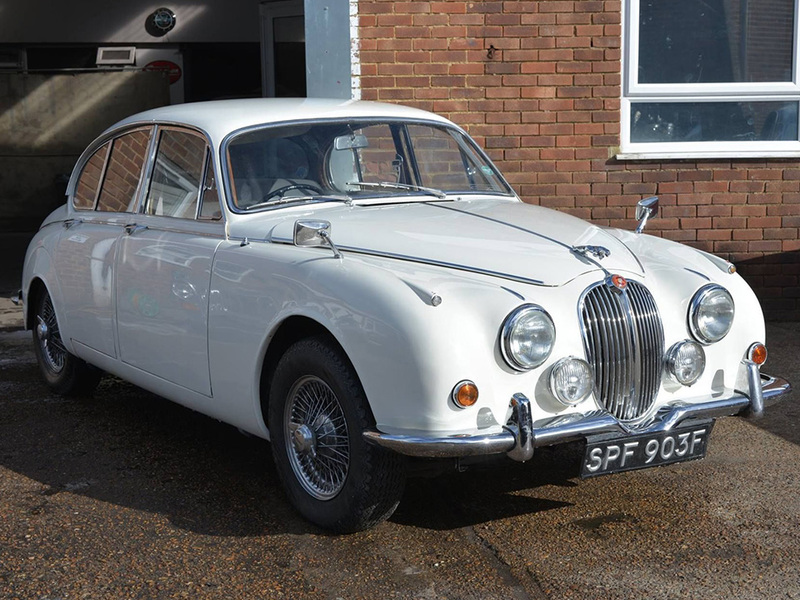 Painting Classic Cars was born out of the need for restoration quality paintwork for the long established Jaguar specialists - XjRestorations Ltd. Paintwork for XjR was always subcontracted, with varying results and timescales. Brake failure led to the front end impact on this lovely 340 Jaguar. All damage was pulled and dollied out, reforming the steel and slowly shrinking the creases.